As a fan of the technology that NetApp were and are producing I jumped and said yes of course. What do I need to do? “Nothing” well that seems easy enough. But in fact my drive to talk about NetApp technologies and the surrounding technologies was exactly what they were looking for. Back in 2014 it was my first NetApp A Team ETL event. ETL stands for Extract, Transform, Load it’s a database term that stuck when we were brainstorming on what we should call this event. 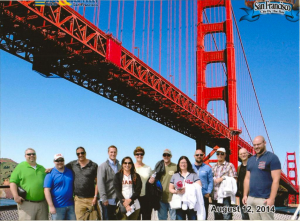 The purpose of this trip is to take the A Team members to the Executive Briefing Centre and get some low down on what is coming and in return the partners, customers, and alliance vendors will share feedback on where the direction or how things have been going in the field. The first trip would be to the Head Office in Sunnyvale, California. This was my first ever trip to the US. I was so grateful for being given the opportunity to attend this event. I was also the first person from EMEA to join the group, and although they had a small ETL whilst in Boston this was the first full blown event with two days of full on content. 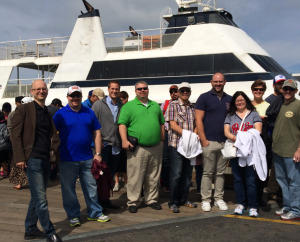 2015 saw us returning in the May to Sunnyvale. Another great week packed with content and networking with some new faces, all of which we have interacted with over social media, it honestly feels like you have known these guys for years without even meeting them face to face. 18 people in the photo below and that’s not everyone in the team. But you will start to see the guys that have been in the team from the start. Our last meet up was 2016 back in the Valley. This time we were in force. 27 and again not everyone present. A lot even split this year as well with the guys coming over from EMEA and joining the team. 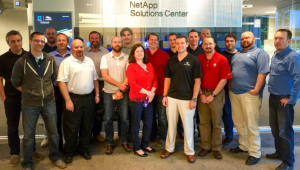 Around the time of this year’s Insight event there was also a new advocacy program started in EMEA called the NetApp A-Team Chapter where even more community people were being joined where they were offering advocacy to the NetApp portfolio. 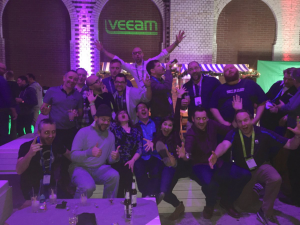 We also had a show of force at the EMEA NetApp Insight in Berlin in 2016, where we may have taken over the Veeam private party either. It was fine we had Dave Hitz with us. And here we are as I cruise along at 36,000 feet on our flight to Raleigh, North Carolina for my fourth NetApp A Team ETL. A change up to the other side of the US (closer for us EMEA guys) and a new state for me in the US. Having seen the draft schedule our fearless leader has put together (@SamMoulton) I am really looking forward to hearing from the different product teams on the roadmap and futures that they have been working on. Also, seeing some of these guys that I consider life friends for sure, I have known them and interacted with some of these guys for well over 5 years now. Being in yet another different role its interesting how I consume these sessions, working for an Alliance Partner and being able to offer impartial advice on the route that NetApp are taking as well as getting a better understanding of the NetApp portfolios, the amount of light bulb moments I will get this week will be high, just thinking about use cases where the Veeam and NetApp story can be extended to the already extensive partnership that we have today. 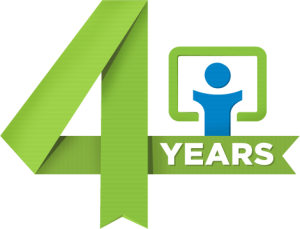 Finally, I just want to say how grateful I am to my second Mom for putting this together that call 4-5 years ago was a strange one as I was just getting really into that social media and blogging sphere. I am so excited at being part of this team and meeting some lifelong friends on the way.